acquiring fonts for use with illustrations or other forms of design work was not only very limited, but also expensive. Fonts were only available for licensing from major type development companies and foundries. Today fonts are available instantly and online for various types of licensing and usages from many sources. UGC fonts created by individuals can submitted to font websites and distributed for use, whereas in the past, designs submitted to the major foundries were scrupulously reviewed, with relatively few new font intro-ductions by comparison to now. The listing below is by no means a complete one as new sites are frequently going live online by font providers. Included are sites offering freeware and shareware fonts, fonts for purchase, fonts available by subscription, limited application font sites, and a few type resources. The fonts at Fonts2u are grouped into particular categories mainly based on the font appearance or style. Users can find the required font either by browsing the relevant font category or by using the extended search system. The latter makes it possible to search for a particular font by specifying font category, type, target computer platform as well as its physical characteristics, such as width, weight, special glyphs, character maps in any combination. Every font is supplied with the font details page, where all the information on the font, including its author, type of license, physical characteristics, etc. The functionality of the site allows users to download available computer fonts, upload the fonts of their own authorship into this online database, and convert font files from one format to another. Fonts available at Fonts2u.com are either GNU/GPL, Freeware, free for Personal use, Donationware, Shareware or Demo. Read the information shown in the details area of each font to avoid any confusion. Being an online archive of the fonts for free downloading, Fonts2u also offers opportunities for font designers to upload their works to the database. The list of instruments or software applications for font creating, editing, and managing are provided at the site. Free and proprietary font editors are included in the list. The registration on Fonts2u is free. Membership gives users access to additional resources and functions, such as fonts rating and commenting. Dafont offers a large selection of unique fonts in lots of specific categories. Selecting a font is easy with the category specific list provided. The fonts presented on the Dafont website are their authors' property, and are freeware, shareware, demo versions or public domain. The license mentioned above the download button is just an indication. Look at the readme files in the archives or check the indicated author's website for details, and contact him if in doubt. Urban Fonts features an amazing collection of free fonts, premium fonts and free dingbats. With over 8,000 freeware fonts, you've come to the best place to download fonts! Many fonts on this site are freeware, some are shareware, or linkware. Some fonts provided are trial versions of full versions and may not allow embedding unless a commercial license is purchased or may contain a limited character set. Review any files included with your download, which will usually include information on the usage and licenses of the fonts. If no information is provided, please use at your own discretion or contact the author directly. Although many fonts are freeware or shareware, Urban Fonts also offers a selection of “Premium” fonts for a fee of $15 and up. With Urban Fonts you can customize the look of the font previews by typing text in the input text field provided in all the font pages, or choose the AsBbCc button to switch to an alphabetical view. The Names button switches your preview back to the name of the font. The colors of the text and background can be easily changed using the built in color picker. California Fonts has 20,000 free fonts to browse and download. Unlike other font sites, California Fonts don't have to download a font, then unzip it and then move it to its final destination. All the fonts and types on this site are pre-packaged and are executed and installed as an application, a few clicks, and the downloaded free font is ready to be used. Instructions on how to use these fonts as web fonts are included to easily integrate them into website projects. California Fonts offers self-extractable and installable fonts with a Mac OSX free font manager that can be download and used without charge. Most impressive, California Fonts can provide a list of the currently installed fonts on you own computer, and they are displayed in sample form! Check which fonts you currently have installed on your computer. Find quality freeware fonts that are licensed for commercial work at fontsquirrel.com. The fonts are hand-selected typestyles and designs that are presenting in an easy-to-use format. In addition to freeware fonts, Font Squirrel also has what they call “Almost Free Fonts”, which are available for purchase. Read the license on each font before you use them. Some licenses may allow more uses than others. Font Squirrel marks fonts for different common uses, such as commercial and embedding, by using a set of symbols to indicate a font’s usage status. FontStruct is a free font-building tool sponsored by the world’s leading retailer of digital type, FontShop. FontStruct easily and quickly lets fonts be created by constructing letters out of geometrical shapes, which are arranged in a grid pattern, like tiles or bricks. ‘FontStructions’ are created using the ‘FontStructor’ font editor. Once done building, FontStruct generates high-quality TrueType fonts, ready to use in any Mac or Windows application. Font creations can also be shared by "FontStructions" creators. Explore the Gallery of fonts made for other FontStruct users and download them or even copy them and make your own variations. You can also use the FontStruct widget to show your FontStructions on your own website or blog. Acid Fonts has many categories free fonts to browse through with each listing the number of fonts it contains. Fonts can also be searched for by keyword. The font preview is simplified and there isn’t a character map view. Abstract Fonts has over 12,000 fonts uploaded by designers all over the world. Offerings can be browsed by category, designer, most recent, most popular, and by language. Abstract Fonts Registered members get the added benefit of being able to download up to 100 fonts in one zip file. Registration is completely free and isn't requited to download fonts. 1001 Free Fonts first opened its doors in December 1998 and has since grown to become the most popular free fonts archive online. We receive more than 50,000 visitors daily and have received 150,000,000 visitors since 1998. Over 3,000,000,000 free fonts have been downloaded since 1998. In addition to free fonts, a 10,000 font package is available for download for $19.95. Over 23,000 free fonts are available on FontSpace through designers out there who share their fonts for free. FontSpace uses Fontologist, which adds many rare fonts from the late 90's. All the fonts are checked periodically to ensure they are freeware, shareware, or under an open source license, but if in doubt, it is advised to contact the designer of the font for correct licensing. FontSpace makes it easier to find fonts with generous 100% free commercial-use licenses. Just click "Filter Options" and check the commercial-use box shown with the font. Font River's goal is to provide visitors with free downloadable fonts and dingbats for both Windows and Mac. This includes offering useful content, easy font finding features and a huge selection of original typefaces and font families organized by categories. All fonts can be downloaded for free, certain usage restrictions may apply in respect to the different font licenses. Some fonts, although they can be used privately, are not free for commercial use. The FontRiver.com Typeface Collection was retrieved from various sources on the web. All fonts are their authors' property, and are freeware, shareware, demo versions or public domain. One of the Largest Free Font Selections on the web with over 13,000 free fonts to find the unique font for your document to make an attractive and successful statement. SearchFreeFonts.com. makes finding these high quality fonts easier. The SearchFreeFonts.com collection contains over 13,000 free fonts and over 91,000 commercial fonts available for a fee. Font Freak is one of the largest and most visited freeware and shareware font sites on the net. Here you can download free fonts - well over 9000 of them - as well as purchasing over 125,000 commercial fonts. Thousands of free fonts can be found to download from over 400 different designers. Most fonts have a PC and Mac version. The fonts are sorted alphabetically for easy downloading. There are free cursive fonts, calligraphy fonts, cool fonts, graffiti fonts. All dingbats are in true type format. New fonts are added daily. Font software can be obtained by visiting the software section for the latest updates of font editors and font managers available for download with free trial versions available. The Open Font Library promotes freedom as it relates to the use of type. All the fonts that appear on the site come with the freedom to use, study, share and remix them. The site also includes web fonts that can be effortlessly included on your website's design, thanks to the wonderful features of CSS. Open Font Library features a “Guidebook”, a how-to guide for anything and everything regarding the Open Font Library. For those interested in knowing more about creating open fonts, there is technical information and creative tips on how to design your own typeface can be found. Like Acid Fonts, Discover Fonts lists many categories free fonts to browse through with each listing the number of fonts it contains. Fonts can also be searched for by keyword. The font preview is simplified and there isn’t a character map view. The fonts shown range from amateur submissions to professional ones. Like Acid Fonts and Discover Fonts, ReFont lists many categories free fonts to browse through with each listing the number of fonts it contains. However ReFont contains over 30,000 fonts. Fonts can also be searched for through a browser link back to ReFont. The fonts presented are their authors' property, and are either freeware, shareware, demo versions, or public domain. The license mentioned above the download button is just an indication. Review the readme-files in the zips or check the indicated author's website for details, and contact him or her if in doubt. The site has tools for font creation, font management and more. Fontsy offers free fonts for use in designs or other documents, print media and so on. Fontsy.com currently has 14708 free fonts. A custom preview can be created of each font of interest in different sizes to see how every character looks. Users can also rate fonts. Every font is categorized into one of 81 categories. In addition to free fonts, Fontsy also has font packs of 2,000, 5,000, and 15,000 fonts available for purchase. Font Spring is a font license distributor who’s goal is to make buying fonts easy. Font licensing can be so complex that licensors can't just focus on design, they have to navigate cumbersome embedding permissions. This is not the case at Font Spring. Fonts licensed from Font Spring can be used on as many projects as needed. No annual fee. Font Spring is taking the guesswork out of font licenses and making ethical font usage achievable by everyone. Font Spring has partnered with many favorite font foundries including Exljbris, Mark Simonson Studio, Canada Type, Shinntype and more. Google Fonts (previously called Google Web Fonts) is an interactive directory of free hosted application programming interfaces for web fonts. It was launched in 2010. Google fonts contains hundreds of free open source fonts optimized for primarily web-based use. They are released under the SIL Open Font License 1.1, a free software licence. The fonts are also served by Monotype’s SkyFonts, and Adobe’s Edge Web Fonts and Typekit services. Google Fonts provides high-quality fonts that you can include in your pages using the Google Fonts API. Microsoft provides access to downloadable fonts and links to a variety of type resources such as meta-lists of foundries, typography forums, type speci-fications for developing fonts, and much more. Microsoft's Typography group researches and develops fonts and font technologies, and supports the develop-ment of TrueType and OpenType formatted fonts by independent type vendors. They list free font foundries and commercial foundries in a Links section. Similar to Urban Fonts with free downloading of 10,000 fonts with one click for just $19.95, and instant and unlimited access to 10,000 fonts plus a free font manager and font catalog. Free Mac Fonts first opened its doors in December 2002 and has since grown to become the most popular pure free Mac OSX fonts archive online with over 3,000 visitors daily and 1,000,000 visitors since 2002. More that 10,000,000 free Mac OSX fonts have been download since 2002.
for you to preview, purchase and download. You can also learn about new typeface releases and discover typographic tips and techniques. Fonts.com has limited free access, but is mainly a subscription-based service with fees ranging from $10 to $100 per month. Explore the world of typography with Fonts.com as your guide. Our Learn About Fonts & Typography section is your resource for improving your typographic acumen and keeping up with what’s new on Fonts.com and the latest trends in visual design. My Fonts is the world’s largest collection of fonts for your project. Fonts can be identified and tried before buying. Favorite fonts can be organized for later use and purchase. My Fonts was established in January 1999 to create a new way of finding, trying and buying fonts. My Fonts created the website as a showcase of the world’s fonts available. 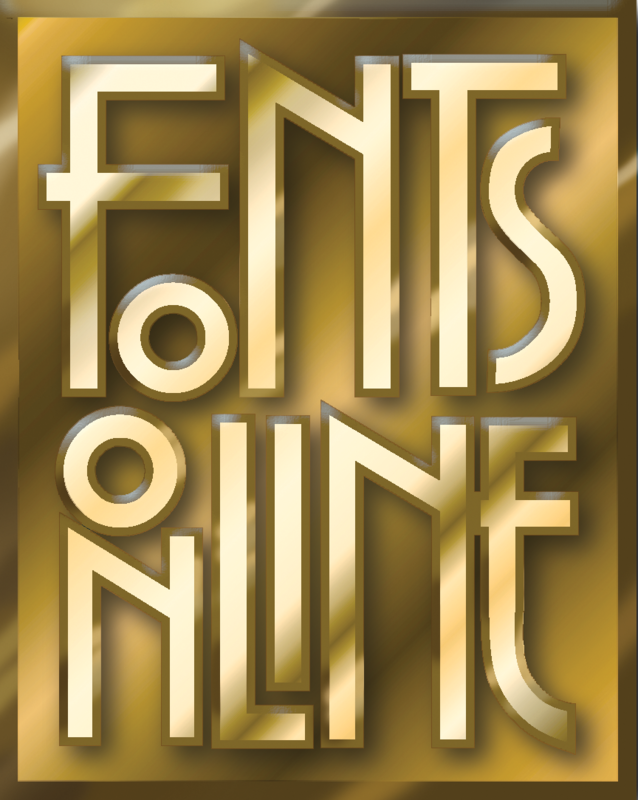 My Fonts hosts the largest collection of fonts ever assembled for on-line delivery, and offers easy ways to find and purchase fonts on-line. My Fonts allows a search for fonts using any keyword you want. Use a descriptive term such as invitations, a font name such as Baskerville, or a foundry or designer’s name, and My Fonts returns the fonts that most closely match what is searched for. What The Font™, one of My Fonts’s most popular features, lets you upload scanned images of fonts to the Web site, where What The Font displays the closest match to your font sample. Select a font license based on your needs. My Fonts sells desktop, web, mobile app, eBook, and server fonts. This makes it easy to extend designs across platforms. There is also an additional discount when multiple license types are purchased together. Ascenderfonts.com has the finest, high quality fonts available for instant download. The font experts at Monotype Imaging has a professional grade selection of TrueType fonts and OpenType fonts from licensed type designers and foundries. With a strong corporate emphasis, Ascender Fonts offers a variety of license extensions for fonts used on web servers, application servers, and enterprise-wide licenses. The Ascender type design team has created many custom fonts for Fortune 500 companies. Our specialty is adding logos, language support, creating new weights and styles, and converting font formats and platforms including custom fonts & bespoke fonts. Ascender Fonts also licenses fonts to a to developers and companies who bundle or integrate fonts into their software products. Typekit is trusted by the web’s biggest sites, from The New York Times to WordPress, Twitter, and more. Scale from our smaller plans to millions of pageviews with our Business Plans. Typekit has thousands of world class fonts, from old classics to new favorites fonts, and is growing. New fonts are added all the time, so Typekit continues to get better and better. Typekit works in all modern browsers and operating systems. Fonts are updated as browser support and font technology evolves. Typekit selects fonts by their rendering quality and work closely with Ourfont foundries to ensure that their fonts meet high standards. Typekit is a subscription service with yearly subscriptions that range in price from $24.99 to $99.99 per month. The Ultimate Font Download is the largest and best selling font collection online containing over 10,000 fonts licensed directly from award winning font designers. The Ultimate Font Download is licensed for commercial use and is perfect for scrapbooking, invitations, web design, newsletters, flyers, logos, t-shirt prints and more. Get instant and unlimited access to 10,000 fonts today. Font collection contains thousands of exclusive fonts licensed for commercial and personal use including a font manager and printable font catalog. Download 10,000 fonts with one click for just $19.95 with a 100% satisfaction guarantee or your money back. To identify a font in use just submit an image to What The Font to find the closest matches in our database. Or, let cloak-draped font enthusiasts lend a hand in the What The Font Forum. Fonts can be uploaded as an image or as a link to a URL. What The Font is also available as an IOS app. Since its launch in November 2000 Identifont has become the largest independent directory of digital fonts on the Internet. It provides a range of features to help you locate fonts or find information about fonts by descriptive appearance, name, similarity of traits, or by using a picture. Identifont also allows a personal Fontset of fonts to be created for reference as a shopping list of fonts to buy, or a list of close matches to a font search. Build custom fonts using the Ico Moon App that only contain icons needed with pixel perfect results. Unlike similar services, the Ico Moon app takes grid sizes of icons into account and generates crisp, pixel perfect results. With a proper alignment, the font size directly translates to the size of the icons. The Ico Moon app is free. The Ico Moon Library features many high quality icon sets. All of these icons are designed on a grid and are optimized for use with the Ico Moon app. Add any set to easily browse and search it's icons. The Ico Moon app is an advanced iconography tool. It sorts icons, manages icon collections, or makes icons searchable by adding tags to them. In addition to fonts, the app can generate PNGs, SVGs and CSS sprites in any size and color. The Ico Moon app allows the importing of personally created vectors (SVG images or SVG fonts). Vectors won't get uploaded to Ico Moon servers when imported. Some basic editing options such as moving, mirroring and rotating are available too. Once loaded in a browser, the Ico Moon app works offline. When an icon is imported or a font is generated, everything happens locally, in the browser. And the icons/fonts won't be uploaded to Ico Moon’s servers. The Ico Moon app is available without a connection if installed from the Google Chrome Web Store. Your Fonts is an online font generator that allows a user to create handwritten OpenType fonts within a couple of minutes. Personal handwriting can now be turned into a font. handwriting as a font! Create fonts with more than 200 characters that optionally include a signature and digitally sign contracts with it. Users can make as many fonts as they like with each font being made within 15 minutes. Use the fonts on Windows, Mac OS X and Linux. Use your fonts in Microsoft Word, PowerPoint and others. The cost is $9.95 (plus $5.00 if you upload both template pages). Purchase is only required if satisfied with the created font. YourFonts allows large templates (up to 6000 x 9000 pixels) to be uploaded and it has the most advanced raster to vector conversion algorithm. Together this results in unbeatable high quality personal fonts.